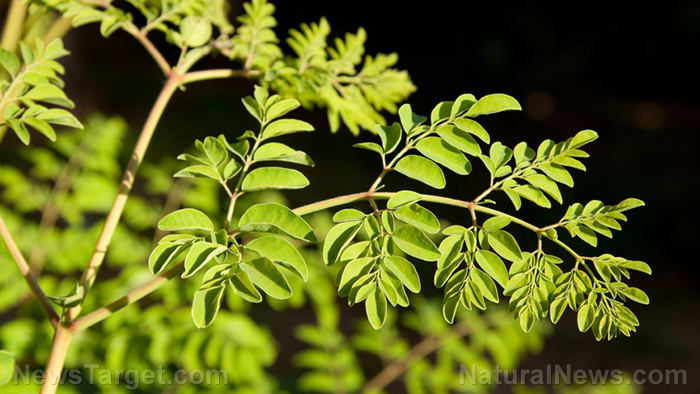 (Natural News) Researchers from the University of Guadalajara in Mexico have suggested that powdered Moringa oleifera leaves could provide some benefit for people with diabetes. In the study, published in the journal BMC Complementary and Alternative Medicine, the effects of M. oleifera on glucose, triglycerides, cholesterol, corporal weight, and predominant groups of microbiota were evaluated. M. oleifera has been known to potentially lower blood glucose and lipids because of its polyphenol content and other compounds. Researchers carried out the study on alloxan-induced hyperglycemic mice. The mice were randomly distributed into five groups: one control group, one healthy group treated with M. oleifera, one untreated diabetic group, one diabetic group treated with M. oleifera, and one diabetic group treated with glibenclamide. Mice that belonged to the M. oleifera treatment groups received a dose of 50 milligrams (mg) daily for eight weeks, while those that belong to the glibenclamide treatment group received 600 micrograms per kilogram of body weight (?g/kg) daily for eight weeks. Researchers measured the glucose level and body weight of the mice once a week. They also assessed the cholesterol and triglyceride levels of the mice at the end of the study. Based on the results, the consumption of M. oleifera leads to the reduction of glucose levels and enterobacteria population without causing any adverse effect. Researchers suggested that their study on M. oleifera leaf powder consumption can bring new information about its safety and as an option of plant preservation without losing its nutrients. The findings of the study indicate that the consumption of M. oleifera leaf powder could be beneficial for those with diabetes mellitus. See related research at DiabetesScienceNews.com.